B.A., Harvard (1964); B.Phil., Oxford (1966); Ph.D., Harvard (1970). Before Columbia, Professor Douglas taught at Princeton from 1970-74—the first woman to teach in its English Department. She received a Bicentennial Preceptorship from Princeton for distinguished teaching in 1974, and a fellowship from the National Humanities Center in 1978-79 after publishing The Feminization of American Culture (1977). 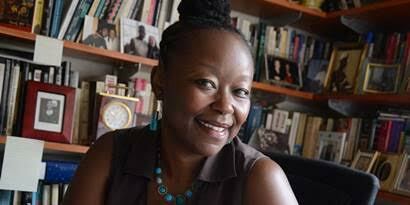 She received an NEH and Guggenheim fellowship for 1993-94. Her study Terrible Honesty: Mongrel Manhattan in the 1920’s (Farrar, Straus, 1995) received, among other honors, the Alfred Beveridge Award from the American Historical Association, the Lionel Trilling Award from Columbia University, and the Merle Curti Intellectual History Award from the Organization of American Historians. She has published numerous essays, articles and book reviews on American culture in papers and periodicals such as The New York Times, The Nation and Slate, and introductions for Little Women, Uncle Tom’s Cabin, Charlotte Temple, Minor Characters, The Subterraneans, Studs Lonigan, and Word Virus: The William S. Burroughs Reader . 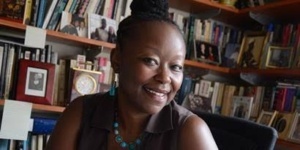 Prof. Douglas teaches twentieth-century American literature, film, music, and politics, with an emphasis on the Cold War era, African-American culture, and post-colonial approaches. She is currently at work on a book, Noir Nation: Cold War U.S. Culture 1945-1960. 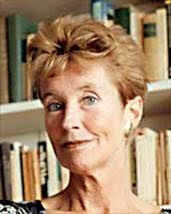 In Spring 2002, she was elected to the American Academy of Arts and Sciences for her work in History. In 2008, she became a member of the New York Academy of Historians. B.A., Yale (1990); M.A., Columbia (1992); Ph.D., Columbia (1998). 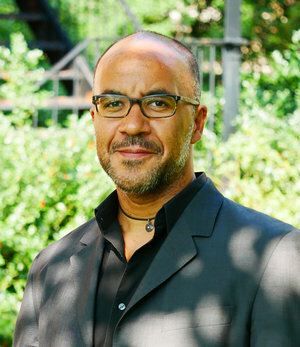 Professor Edwards is the author of The Practice of Diaspora: Literature, Translation, and the Rise of Black Internationalism (Harvard UP, 2003), which was awarded the John Hope Franklin Prize of the American Studies Association, the Gilbert Chinard prize of the Society for French Historical Studies, and runner-up for the James Russell Lowell Prize of the Modern Language Association. With Robert G. O’Meally and Farah Jasmine Griffin, he co-edited the collectionUptown Conversation: The New Jazz Studies (Columbia UP, 2004). He has published essays and articles on topics including African American literature, Francophone literature, theories of the African diaspora, black radical intellectuals, cultural politics in Paris in the 1920s and 1930s, surrealism, 20th-century poetics, and jazz. His translations include essays, poems, and fiction by authors including Edouard Glissant, Jacques Derrida, Jean Baudrillard, Sony Labou Tansi, and Monchoachi. He is co-editor of the journal Social Text, and serves on the editorial boards of Transition and Callaloo. He is currently working on two book projects: a study of the interplay between jazz and literature in African American culture; and a cultural history of the jazz scene in New York in the 1970s. Kevin Fellezs joined our faculty as Assistant Professor of Music and African American Studies in 2012, in a joint appointment with the Institute for Research in African American Studies at Columbia. He was previously on the faculty of the University of California at Merced. He holds the PhD in History of Consciousness (American Studies) from the University of California, Santa Cruz. His book titled Birds of Fire: Jazz, Rock, Funk and the Creation of Fusion (Duke University Press, 2011) is a study of fusion (jazz-rock-funk) music of the 1970s. He has published articles in Jazz Perspectives, Journal of Popular Music Studies, and the Institute for Studies in American Music Newsletter. 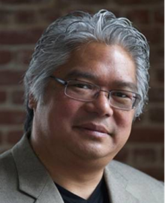 He has also published essays in a number of edited anthologies including Alien Encounters: Asian Americans and Popular Culture (Duke University), One World Periphery Reads the Other: Knowing the “Oriental” in the Americas and the Iberian Peninsula (Cambridge Scholars), and Heavy Metal: Controversies and Countercultures(Equinox). B.A., Harvard (1985); Ph.D.,Yale (1992). 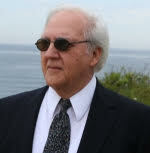 Professor Griffin’s major fields of interest are American and African American literature, music, history and politics. The recipient of numerous honors and awards for her teaching and scholarship, in 2006-2007 Professor Griffin was a fellow at the New York Public Library Cullman Center for Scholars and Writers. She is the author of Who Set You Flowin’: The African American Migration Narrative(Oxford, 1995), If You Can’t Be Free, Be a Mystery: In Search of Billie Holiday (Free Press, 2001) and Clawing At the Limits of Cool: Miles Davis, John Coltrane, and the Greatest Jazz Collaboration Ever (Thomas Dunne, 2008). She is also the editor of Beloved Sisters and Loving Friends: Letters from Addie Brown and Rebecca Primus (Knopf, 1999) co-editor, with Cheryl Fish, of Stranger in the Village: Two Centuries of African American Travel Writing(Beacon, 1998) and co-editor with Brent Edwards and Robert O’Meally of Uptown Conversations: The New Jazz Studies (Columbia University Press, 2004). 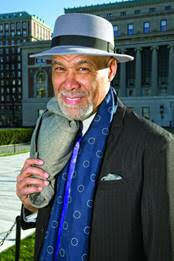 George E. Lewis is the Edwin H. Case Professor of American Music at Columbia University. 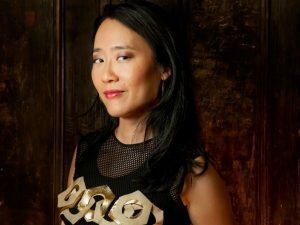 A 2015 Fellow of the American Academy of Arts and Sciences, Lewis has received a MacArthur Fellowship (2002), a Guggenheim Fellowship (2015), a United States Artists Walker Fellowship (2011), an Alpert Award in the Arts (1999), and fellowships from the National Endowment for the Arts. In 2015, Lewis received the degree of Doctor of Music (DMus, honoris causa) from the University of Edinburgh. A member of the Association for the Advancement of Creative Musicians (AACM) since 1971, Lewis’s work in electronic and computer music, computer-based multimedia installations, and notated and improvisative forms is documented on more than 140 recordings. His work has been presented by the BBC Scottish Symphony Orchestra, London Philharmonia Orchestra, Radio-Sinfonieorchester Stuttgart, Boston Modern Orchestra Project, Talea Ensemble, Dinosaur Annex, Ensemble Pamplemousse, Wet Ink, Ensemble Erik Satie, Eco Ensemble, and others, with commissions from American Composers Orchestra, International Contemporary Ensemble, Harvestworks, Ensemble Either/Or, Orkestra Futura, Turning Point Ensemble, San Francisco Contemporary Music Players, 2010 Vancouver Cultural Olympiad, IRCAM, Glasgow Improvisers Orchestra, and others. 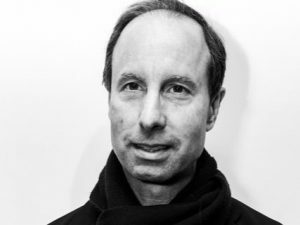 Lewis has served as Ernest Bloch Visiting Professor of Music, University of California, Berkeley; Paul Fromm Composer in Residence, American Academy in Rome; Resident Scholar, Center for Disciplinary Innovation, University of Chicago; and CAC Fitt Artist In Residence, Brown University. Lewis received the 2012 SEAMUS Award from the Society for Electro-Acoustic Music in the United States, and his book,A Power Stronger Than Itself: The AACM and American Experimental Music (University of Chicago Press, 2008) received the American Book Award and the American Musicological Society’s Music in American Culture Award. Lewis is the co-editor of the forthcoming two-volume Oxford Handbook of Critical Improvisation Studies, and his opera Afterword, commissioned by the Gray Center for Arts and Inquiry at the University of Chicago, premiered at the Museum of Contemporary Art Chicago in October 2015. Professor Lewis came to Columbia in 2004, having previously taught at the University of California, San Diego, Mills College, the School of the Art Institute of Chicago, the Koninklijke Conservatorium Den Haag, and Simon Fraser University’s Contemporary Arts Summer Institute. Lewis studied composition with Muhal Richard Abrams at the AACM School of Music, and trombone with Dean Hey. Damon J. Phillips is the Lambert Family Professor of Social Enterprise. He received his PhD from Stanford University. Before joining Columbia in 2011, he was on the faculty of the University of Chicago Booth School of Business (from 1998-2011). During the 2010-2011 academic year he was a fellow at the Center for Advanced Study in the Behavioral Sciences at Stanford University. Professor Phillips has expertise in social structural approaches to labor and product markets, entrepreneurship, innovation, organizational strategy and structure, as well as social network theory and analysis. His industry specialties are markets for professional services (law, consulting, investment banking) and culture (music industry). His 2013 acclaimed book, “Shaping Jazz,” is an innovative study of the emergence and evolution of the market for recorded jazz. In addition to publishing in top journals within management and sociology, Professor Phillips has been on the editorial board of the Administrative Science Quarterly, an Associate Editor with Management Science, and was a Consulting Editor at the American Journal of Sociology. 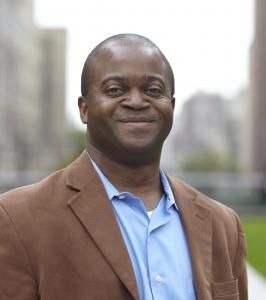 Professor Phillips is a Phi Beta Kappa graduate from Morehouse College with a bachelor’s degree in physics. He earned his first master’s degree in aeronautics and astronautics from Massachusetts Institute of Technology. He earned a second master’s degree in sociology from Stanford University. Before pursuing his PhD at Stanford, he worked as an engineer and researcher affiliated with the U.S. Air Force (Lincoln Labs, MA) and was an executive in a family-owned electronics manufacturing business. He enjoys spending time with his wife and two daughters, learning to play instruments, and listening to music. Areas of Expertise: The Sociology of Labor Markets and Professional Careers Social Networks Managing Innovation, Creativity, and Change Entrepreneurial Management. John Szwed is an anthropologist and jazz scholar, whose publications range from anthropological studies of Newfoundland and the West Indies to record liner notes and jazz journalism. Among other books, he has published Space is the Place: The Lives and Times of Sun Ra (1997), Jazz 101 (2000), and So What: The Life of Miles Davis (2002). Doctor Jazz, a book included with the CD set, Jelly Roll Morton: The Complete Library of Congress Recordings by Alan Lomax, was awarded a Grammy in 2005. Before he joined Columbia, Szwed taught Anthropology, African American Studies, and Film Studies for many years at Yale University, and also received fellowships from the Guggenheim and Rockefeller foundations. He is President of the non-profit music production company Brilliant Corners, which is based in New York City. 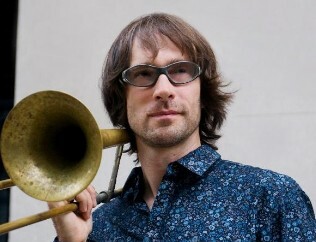 Christopher Washburne is an Associate Professor of Music and Director of the Louis Armstrong Jazz Performance program at Columbia University. 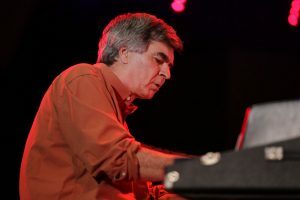 He has published numerous articles on jazz, Latin jazz, and salsa topics, and his book, Sounding Salsa was published in 2008 by Temple University Press. He is leader of the highly acclaimed jazz groups SYOTOS and NYDNK. In addition to these bands, he has performed and recorded with Tito Puente, Eddie Palmieri, Celia Cruz, Ray Barretto, Mark Anthony, Justin Timberlake, Celine Dion, Gloria Estefan, and the Duke Ellington Orchestra. Chris Washburne has been called the “best trombonist in salsa” by Peter Watrous of the New York Times. He is leader of the highly acclaimed Latin jazz group SYOTOS, the busiest and most in demand Latin jazz band in New York. His newest release, Paradise In Trouble (Jazzheads Records) has received rave reviews. In addition to SYOTOS he has performed and recorded with Tito Puente, Eddie Palmieri, Celia Cruz, Ray Barretto, Mark Anthony, Justin Timberlake, Celine Dion, Gloria Estefan, and the Duke Ellington Orchestra. 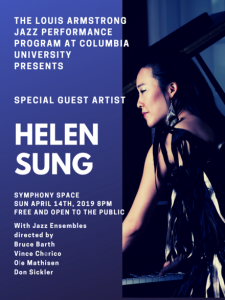 He is currently an Assistant Professor of Music and Director of the Louis Armstrong Jazz Performance program at Columbia University. He has published numerous articles on Latin jazz and salsa topics.